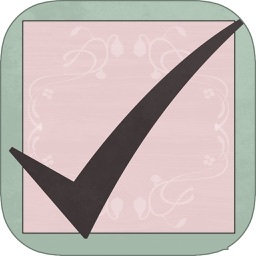 Easily add to-do list items. 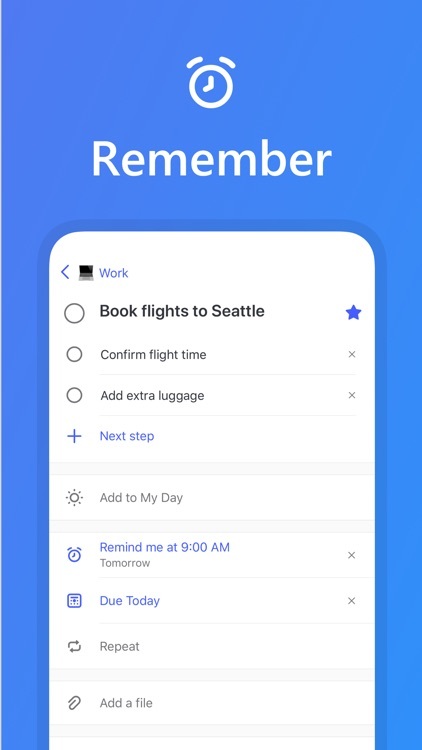 Microsoft To-Do makes it easy to add things to your to-do list. All you have to do is tap the plus sign, and type in what you need to do. 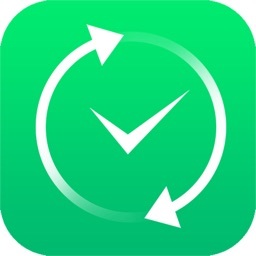 Once you've done that, you can tap on that to-do list item to set a reminder or give it a due date. 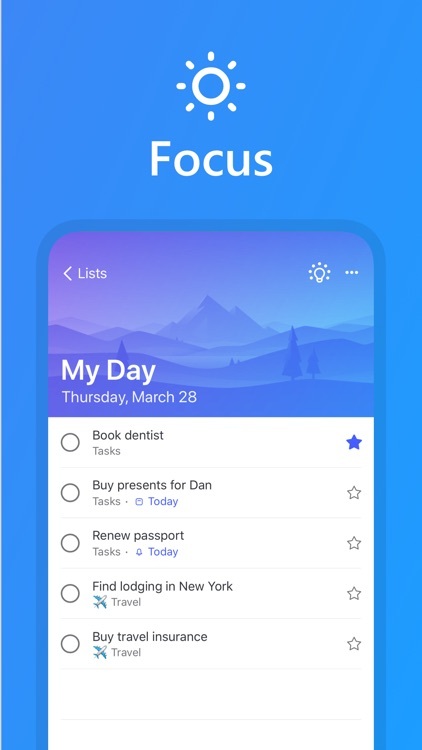 To-Do is built on Office365, so all of your to-do list items synchronize automatically with Outlook. 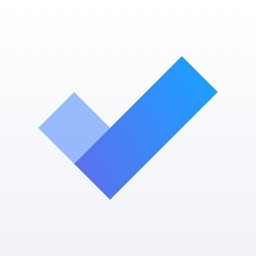 So far, there is no integration with Apple's Reminders, unfortunately. 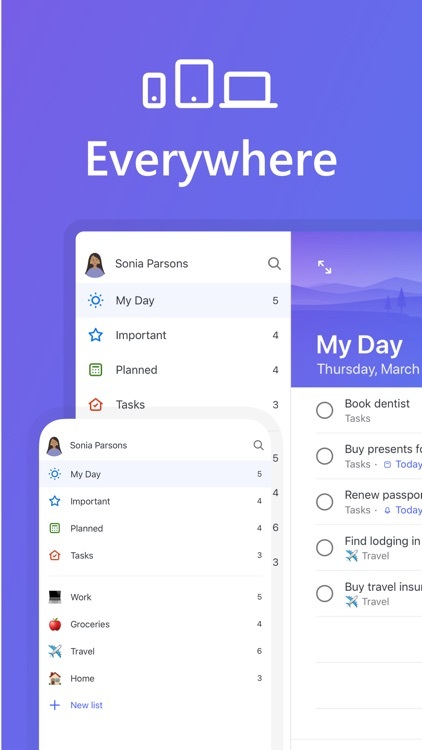 Still, the ease with which you can enter to-do list items and edit them, set alerts, and add due dates is akin to the functionality of Wunderlist, which Microsoft To-Do will eventually replace. 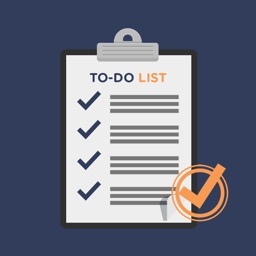 Add New Lists to Get Organized. 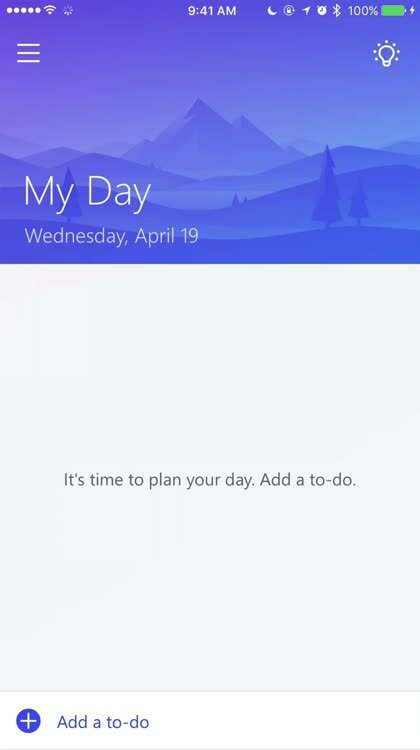 "Out of the box," Microsoft To-Do only comes with one list, a smart list called "My Day." Adding new ones is quite simple, though, so it's easy to get hyper-organized and break things down into the projects we all have in our lives. There's no support for sub-tasks, though. 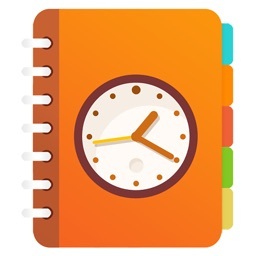 Even without that support, you can easily create new tasks in hierarchical order with your lists and tasks, and use notes to keep track of the minutiae. 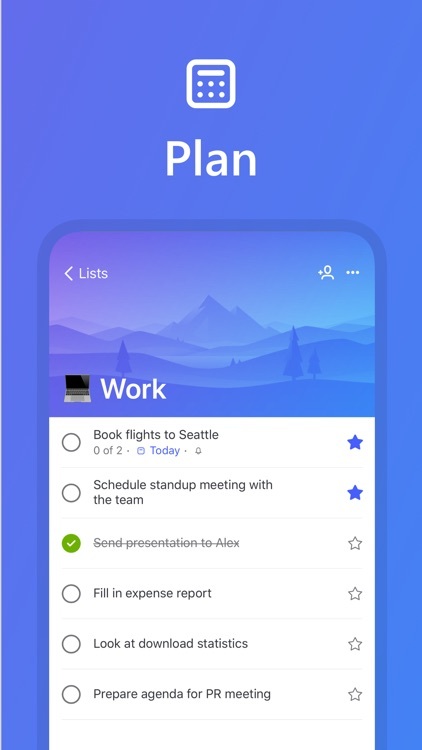 This is also, of course, a preview version of Microsoft To-Do, so additional functionality could still be coming. 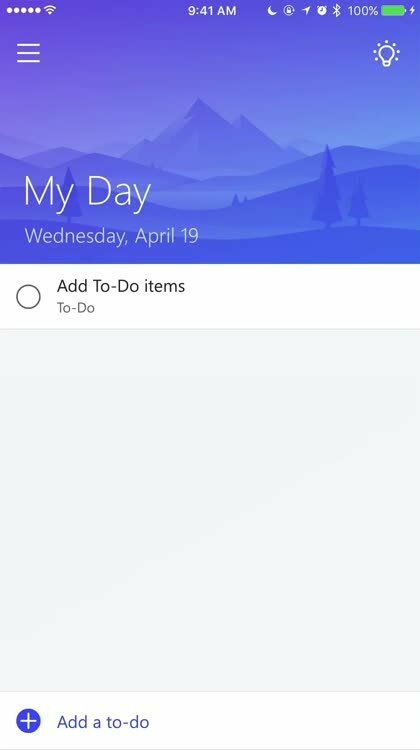 Import from Wunderlist or Todoist. Baked into Microsoft To-Do is a great feature that allows you to seamlessly, or almost seamlessly, import your to-do lists and tasks from either Wunderlist or Todoist. It works really well, as long as you are patient. 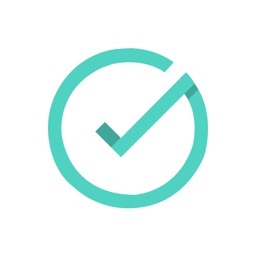 The first time I ran it, it didn't appear that it had worked, because none of my lists from Todoist appeared. When I ran it again, I realized I had duplicates, simply because I was impatient and didn't wait for Microsoft To-Do to fully refresh with the data.